Biometric technology can be a difficult concept to grasp when someone first reads about it because it seems like it is right out of a science fiction movie. The programming, designing, and security used to make biometric technology a viable security option in today’s world is incredibly complex. We will not be focusing on how biometric technology is created. Instead, we will be focusing on why biometric technology can help you with securing your valuable assets that you own and making your life a lot easier. It is important to know, that biometric technologies are not for everyone. If you’re somebody who is struggling with money right now, then you may want to opt for the cheaper, but equally as good security options in the safe market. So how does biometric technology work for you? This is a simple question to answer because biometric technology, as stated above is very easy to use but very difficult to design. This means that for people who are looking for an easy solution to protecting their valuable assets and have money to spend, biometric technology may be the best bet for them. It can be as simple as swiping your finger, scanning your eye retina or even having the biometric technology detect your scent. The idea behind biometric technology is to be able to make security decisions about people quick and easy. Biometric scanners allow a database of human characteristics to be developed, which allows security to be much more stress free. Today, there are many safe manufacturers designing biometric safes and try to capitalize on the new biometric technology. The biometric market brought in an estimated $13.8 billion dollars in 2015. With revenues this high, it is not difficult to figure out why safe manufacturers are trying to capitalize. With that being said, new products being brought into the marketplace is not always a good thing. The reason for this is because some safe manufacturers might cheap out on the actual biometric technology which results in a weak safe. Having a burglar that can get into your safe within minutes is not a safe that you want to purchase. So, with biometric technology still being fairly new, this means that the prices aren’t as low as they will be in the future. 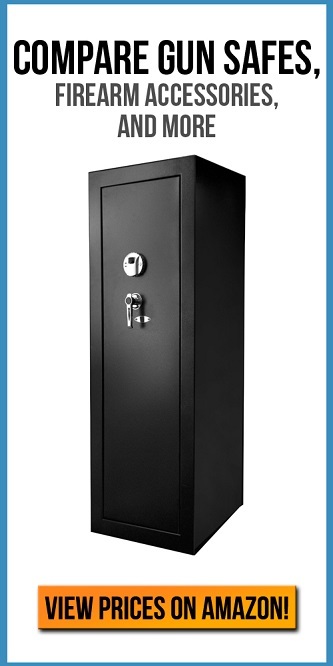 If you’re someone struggling for money right now, we highly recommend that you go for the more conventional safes that are out of the market. This includes digital and locking key. To check out the different options with reviews, be sure to check out our best of gun safes with biometric locking technologies. Are there any concerns with biometric technology? The major concern with biometric technology is the possible security breaches that can come with having databases that include personal details about people. A lot of people are worried that this will become a prime target for hackers in general and could be catastrophic for anybody who takes part in biometric technologies. If you’re concerned about this, you shouldn’t be. It will still be a while before biometric technology is the number one technology used to secure public places and personal assets. Also, governments have to take their security very seriously and in failing to do so there they can count on never being voted into power again. So there is a major incentive for governments to take the security seriously. If you still do not trust the, locking key, digital and other means of safe security will still be relevant and manufactured for years to come. Feel free to buy into these options instead.